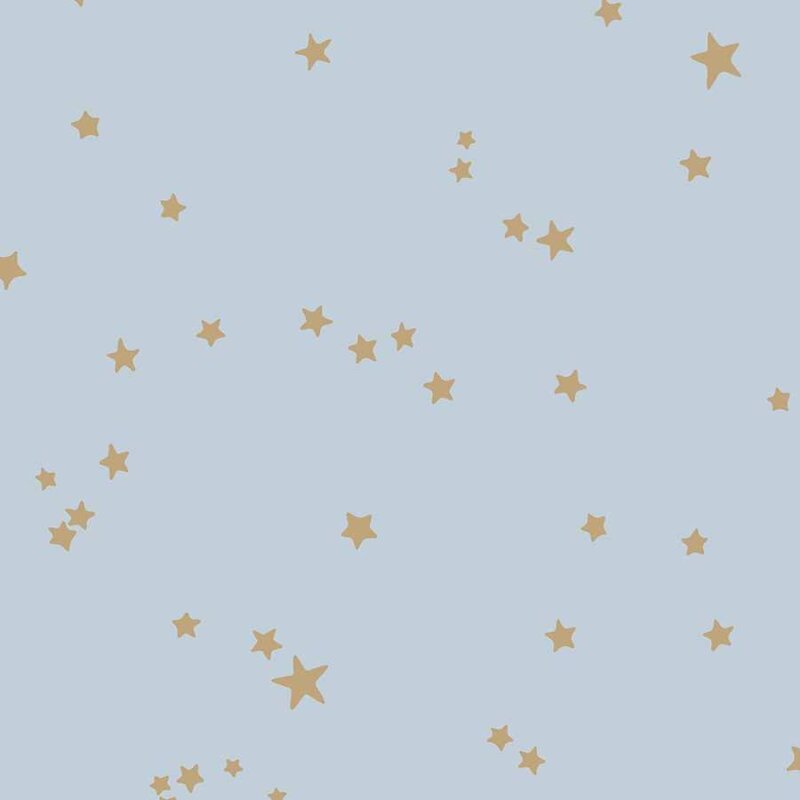 Taken from an original Cole and Son block print and transformed into a contemporary and enchanting wallpaper for your child’s bedroom or nursery, this Whimsical Stars 103/3016 Wallpaper adds charm and magic to your child’s space. 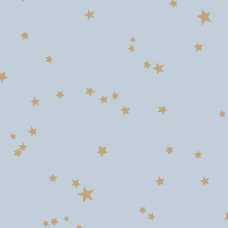 This particular colourway is a simple soft powdery blue with gold stars and the combination is both enigmatic and gentle enough for the most peaceful spaces for children to sleep and settle in. The Whimsical Collection by Cole and Son is a celebration of nostalgia and magic. It is a collection inspired by fairy-tales and classic childhood stories and so this Whimsical Stars paper is perfect for a child’s space. The charming simplicity of this design makes it a wonderful choice for your child’s room or nursery. The gentle blue tones make it a calming choice, perfect for soothing a child to sleep. 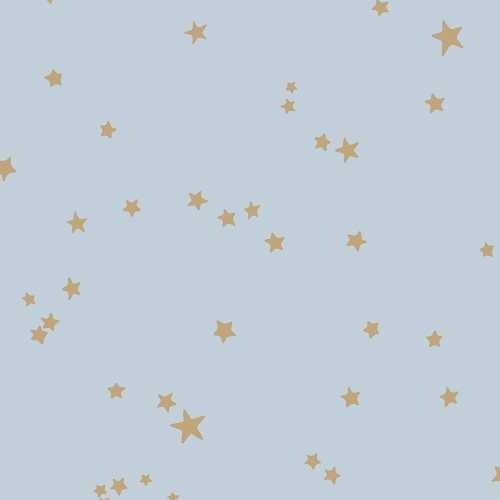 The gold stars add a little sparkle but it isn’t overwhelming. 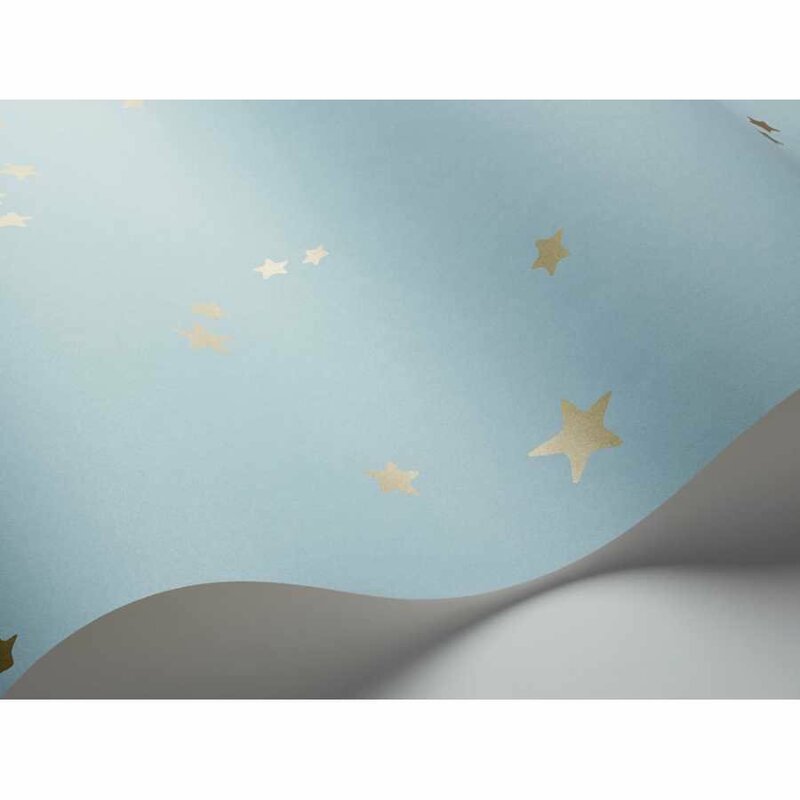 Each roll of Whimsical Stars Wallpaper measures 52cm in width and 10 metres in length. Each roll also has a half drop pattern match and a 64cm pattern repeat. If you are interested in discovering more about the designers behind this stylish wallpaper and would like to explore the rest of their collection, please visit our Cole and Son brand page.